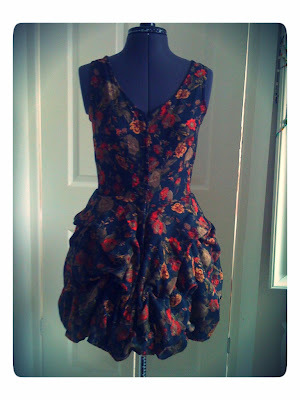 The dress I manufactured for my final piece at art foundation was 'All Saints' inspired. I really enjoyed making this dress as it allowed me to play around with the draping of the fabric, I was able to drape the fabric several different ways until I was happy with the outcome. 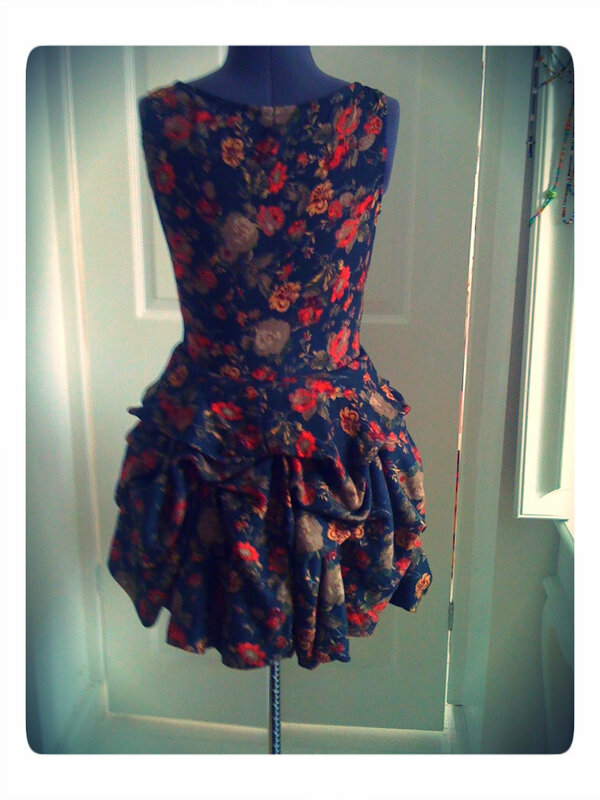 The fabric I used was 100% Cottton, with floral printing, bought from abakhan at £5.80pm and I needed 6m of fabrics to create my dress, the majority of the fabric was used in the skirt of the dress. 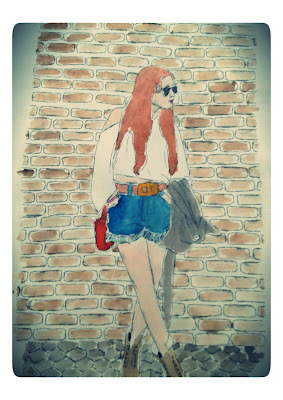 This is one of the many fashion illustrations I created at art foundation.